For the very first time in Malaysia, LumiAir – A Cirque Sensation finally made its much anticipated debut last Friday night at Amphitheatre, Sunway Lagoon thrilling audiences from all ages throughout its two-hour performance. LumiAir – A Cirque Sensation is produced by Susan Porett, who carries with her 20 years of experience in various live shows and theatre entertainment. Her in-depth knowledge of the industry comes from years of travelling the world as both performer and producer. 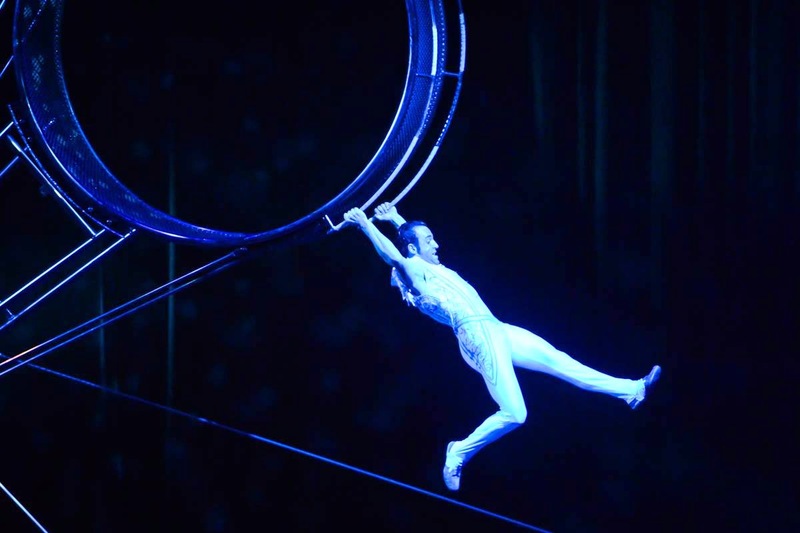 The production featured grand cirque style sequences using big apparatus for spectacular tricks in the air and was drama-filled with breath-taking acrobatic ballet scenes, leaving everyone at the edge of their seats. The show also captivated the audience with scenes featuring lighting and magical illusions, as well as intertwined it with humorous breaks by the performers, leaving behind an unforgettable experience for everyone. The one-of-a-kind production is set to wow audiences of all ages with an extraordinary cast that is made up of cirque characters, beautiful dancers and breath-taking acrobatic performances from all over the world. Brought to life in an illusion of colour and vibrant energy LumiAir is complemented with brilliant costumes, stunning scenery and state-of-the-art production – a unique treat for the senses unlike any other. Choreographing the entire production is current World Aerobics champion, Anthony Ikin, whose extensive experience ranges from soloist at Paris’ Moulin Rouge, to being a choreographic consultant for Gymnastics Australia. For LumiAir, Anthony will combine his expertise with Daniella Winter, a past choreographer for Australia’s Got Talent to truly make for a spectacular performance. LumiAir runs every Tuesday to Sunday from 29 November to 24 December at 7.30pm. Ticket prices for LumiAir are available starting from RM90* for children and RM110* for adults. Book your tickets now at www.airasiaredtix.com. For more information: +603-5639 0000 or www.sunwaylagoon.com or www.facebook.com/SunwayLagoonMalaysia.